Naghma Mulla, the Chief Operating officer at EdelGive Foundation, is a masters in commerce and a Chartered Accountant by profession. She spearheads its three verticals- Investments & Programmes, Fundraising & Partnerships and Employee Engagement. She actively works towards creating and maintaining a sustainable philanthropy network to support EdelGive investee portfolio. 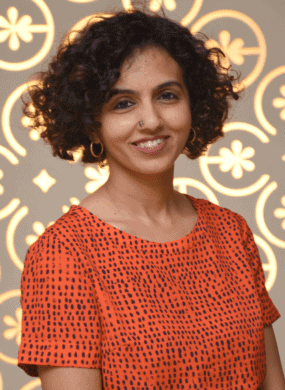 She is responsible for strategizing and promoting collaborations between different stakeholders in the social space i.e, the NGOs, the donors, corporates and Edelweiss employees. Naghma is also deeply involved with the Capacity Building Model wherein she works towards sourcing high quality solutions in aid of critical organizational issues being faced by investee organizations. Prior to this, she had a stint with Bajaj Allianz where she formed part of the core Finance Team and is a mentor at NSRCEL – IIM Bangalore.